Several teams are carefully watching the John Tavares contract situation in case a trade opportunity arises; where might Brian Elliott land in free agency? And who might be in the running for Ilya Kovalchuk? 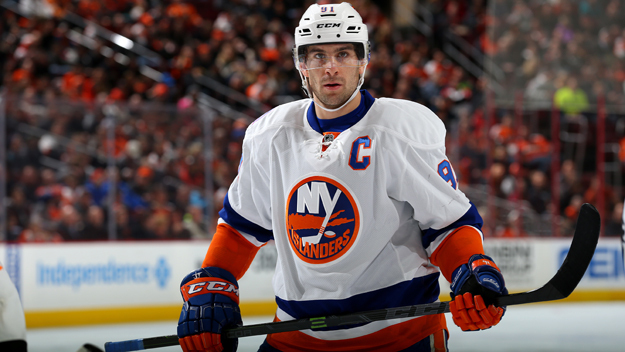 Several teams are closely monitoring the John Tavares situation in New York and are waiting to see what happens before making any major offseason moves. Reports surfaced months ago suggesting the Isles have at least a contingency plan in place to move Tavares if he doesn't re-sign. Now, speculation points to Detroit, Toronto, San Jose, Montreal, Los Angeles and Tampa Bay as teams keenly waiting this one out. Tavares maintains his desire to stay in an Islanders uniform, but as with all negotiations, it's not done until it's signed, sealed and delivered. Will the Jets look to upgrade in net to insulate up-and-comer Connor Hellebuyck, and if so who? Some speculate that a free agent like Brian Elliott might be a viable option. Certainly, Elliott performed well for St. Louis in a tandem with Jake Allen. He's likely a cheaper, short term option to solidify the net while Hellebuyck grows into his starter's role. Who might be interested in Ilya Kovalchuk? Apart from the Devils who will have first crack at the 34 year old sharpshooter, early indications point to the Golden Knights as a strong possibility. Odds of Jonathan Drouin being traded this summer continue to go up as rumblings out of Tampa suggest he wants way more money than the team is willing to pay. With several other key RFAs needing to be signed, Ondrej Palat and Tyler Johnson in particular, he might be the odd one out.